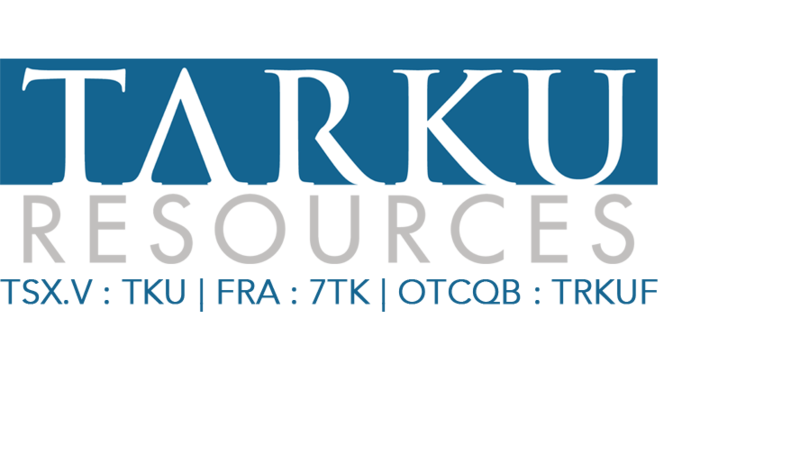 Cranbrook, BC, September 29, 2015: Tarku Resources Ltd. (TSX-V: TKU) ("Tarku") is pleased to announce that numerous geophysical targets including a number of high-priority features have been outlined as a result of the recent interpretation of the 2,100 line-kilometre airborne electromagnetic survey conducted over its road-accessible Chateau Fort project in Quebec. The property is located approximately 70 kilometres south of Stornoway Diamond Corporation’s Renard Mine. The $210,000 survey was flown during the summer of 2015 by Prospectair Geosurveys (Prospectair) using the ProspecTEM time-domain electromagnetic system with a line-spacing of 100m. A follow-up ground prospecting program is planned to further delineate and better define all targets, with emphasis on the high-priority targets, specifically a number of continuous conductors coincident with magnetic anomalies. On the completion of the ground prospecting a data compilation is anticipated to define targets for future drill-testing. A number of high-priority targets appear to indicate an extension of stratigraphy which hosts the past-producing Eastmain Mine. EM surveys have proven to be effective in identifying targets with the potential to host gold-bearing sulphide-rich rocks elsewhere in the region. Chateau Fort adjoins the “167” property where, in late 2014, Visible Gold (VGD-TSX.V)(VGD) announced the discovery of high-grade Au-Cu-Ag boulders at Km 147 and Km 150 along the newly constructed Route 167 Extension, a 4-season road providing direct access to the region. The property is also along strike and directly adjacent to the past-producing Eastmain Mine of Eastmain’s Ruby Hill project and directly south of their Lac Lessard Property. The Chateau Fort property is 18,867 hectares in size and includes Au, Ag, Cu, Zn and As anomalies identified by Anthem Resources Inc. (AYN-TSX.V)(Anthem) geochemical surveys (lake bottom, soil and stream sediments). The current airborne EM data and follow-up ground work later in the year will be used in conjunction with existing data to identify potential drill targets. Tarku is earning a 100% interest at Chateau Fort from Anthem (see press release TKU-PR March 24, 2015). volcanics with sulphides and quartz layers, based on photos on the VGD website. It is likely that they are sourced from the NNE, based on the regional ice direction indicators. results and geological testing and the estimation of reserves and resources; the need for cooperation of government agencies and First Nations groups in the exploration, and development of properties; and the need to obtain permits and governmental approval. TKU's forward looking statements reflect the beliefs, opinions and projections of management on the date the statements are made. TKU assumes no obligation to update the forward looking statements if management's beliefs, opinions, projections, or other factors should change.